We are Delighted to Present Our New Website! At Inplex we pride ourselves on our ability to put the right talent and technology in place to perform the best possible job for our clients. Our new site evolved from our desire to improve the user experience for both current and potential clients. In addition to the user-friendly design and easily navigable links, we optimized our page speed for faster loading time giving the user quicker access to pertinent information. We also added a simplified form for quote requests and product specifications, thus making it more convenient to request information. 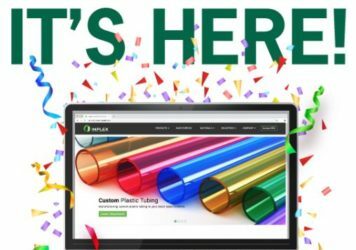 By building a new website, we hope to emphasize our ambition of providing high-quality plastic tubing and plastic profiles. We wanted our website to reflect our values of honesty, innovation, and high-quality service. These values ensure that we understand completely, customize specifically, and manufacture exactly. Our website is designed to show we know our industry and invite visitors to see for themselves that we’re knowledgeable and experts in our industry. Inplex recently participated in an audit of our quality management system and fulfilled the requirements for recertification for the ninth consecutive year. Keeping with our company values, we view our employees are our best asset. 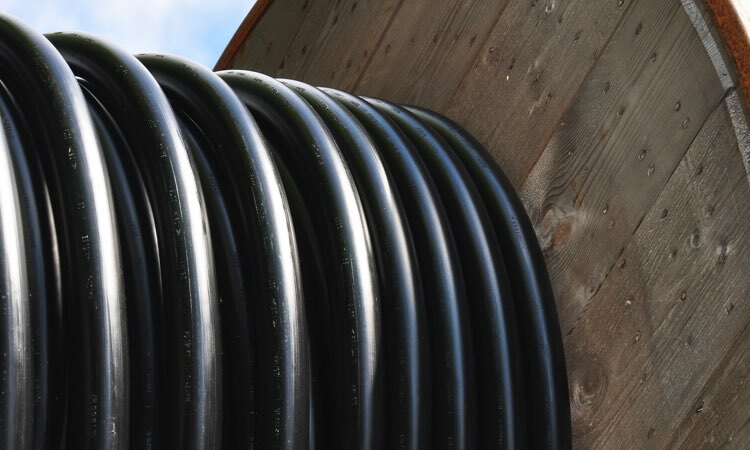 Our skilled ISO 9001:2008 and IMS Certified team is capable of running profiles, tubing, pipe and coating of wire and conduit, as well as Co-Extrusion and Tri-Extrusion techniques. With almost 100 different resins from commodity grades to engineered resins, Inplex produces a wide variety of products for several markets. Flexible or rigid material, transparent or opaque, and any color, stock or custom, we’ll create the exact profile you specify. From beauty to hygiene, transport to sustenance, Inplex extrudes to your exact profile specifications. Our goal is to build long term relationships with our clients by giving them the quality and service they deserve. We take pride in what we do and strive to exceed our client’s expectations through our continued focus on quality and customer service. 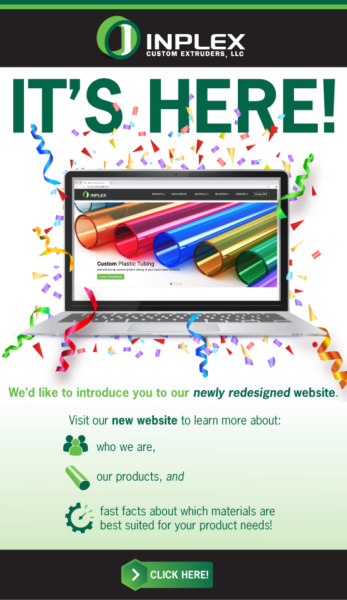 With the addition of our blog page, we can keep our clients informed about what’s new at Inplex, our tradeshows, as well as provide information about our featured product, Injectorplex. When visitors come to our site we want our brand to be recognizable and synonymous with both quality and expertise. Get in touch with us today and let us demonstrate our precision manufacturing with exceptional service. Our team will discuss any deadlines, and work towards the best solution for your custom extrusion needs. Contact Us For All Your Custom Extrusion Needs!